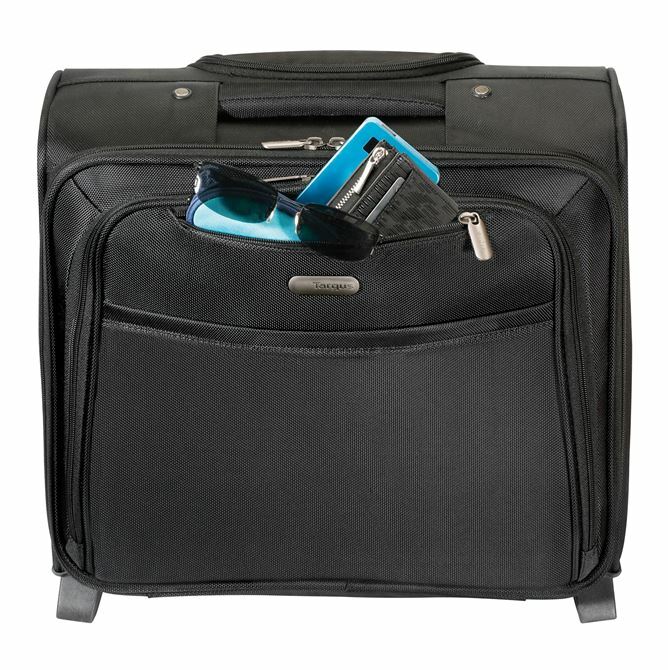 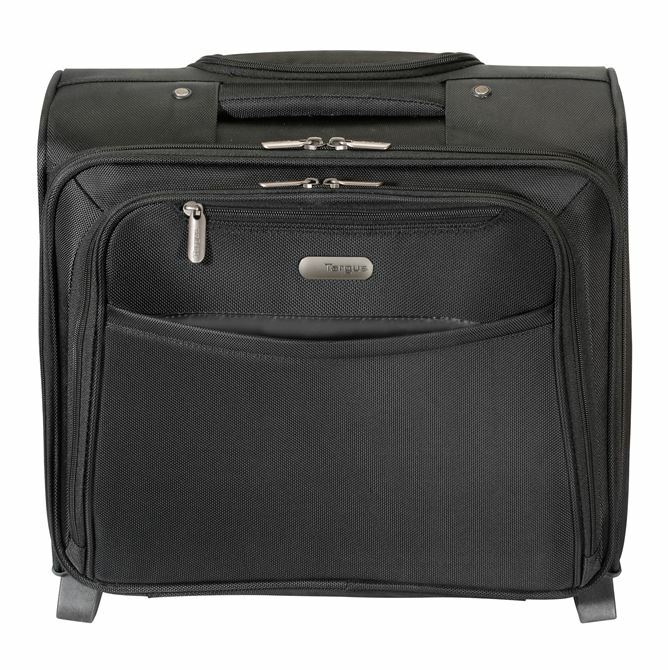 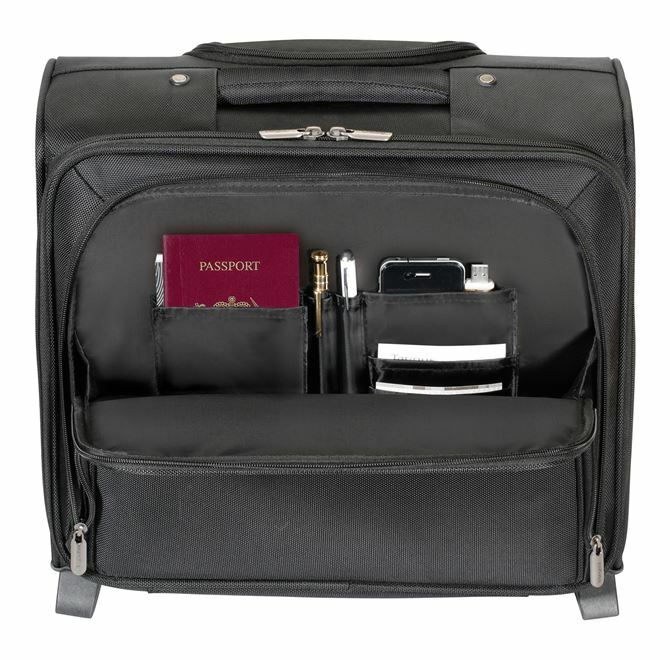 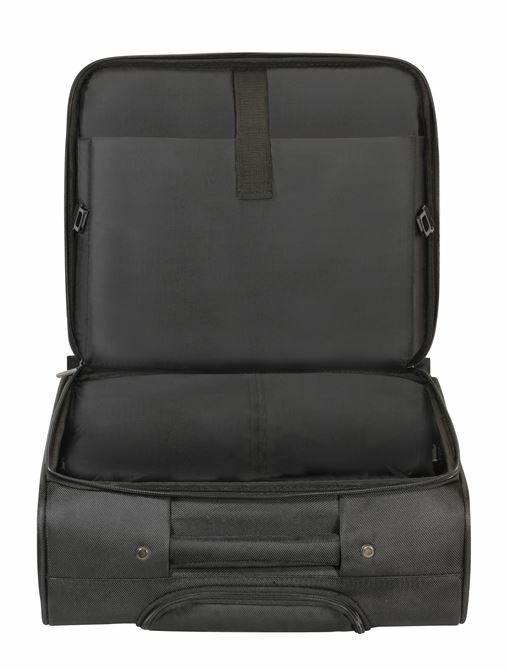 The Targus Rolling Overnight Case for 15.6” Laptops is designed with the overnight business traveler in mind. 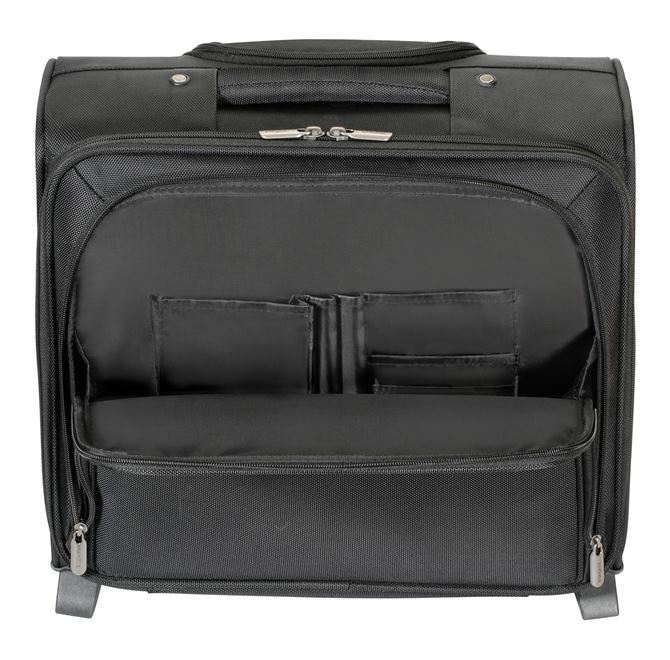 With just the right amount of designated space for laptops and business items, and clothing and personal items, you’ll be ready for formal business meetings or a business casual dinner. 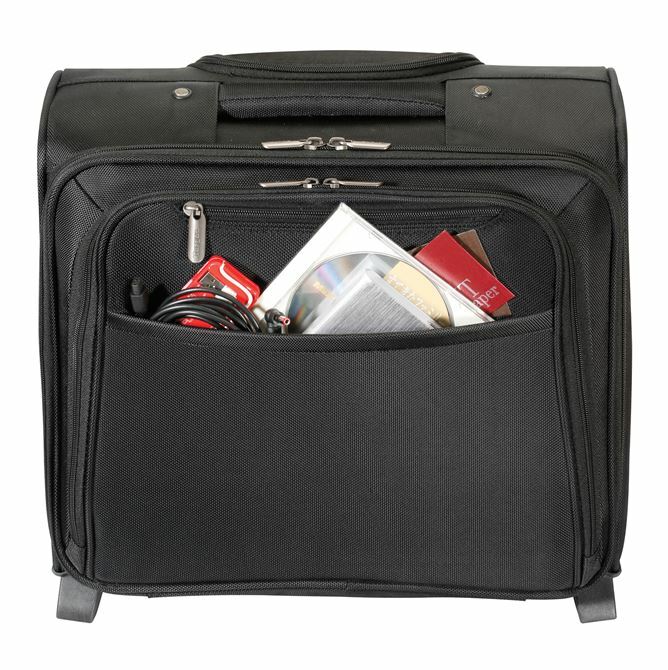 The front workstation includes pen loops, a business card holders, cell phone pocket, and storage space to store your accessories. 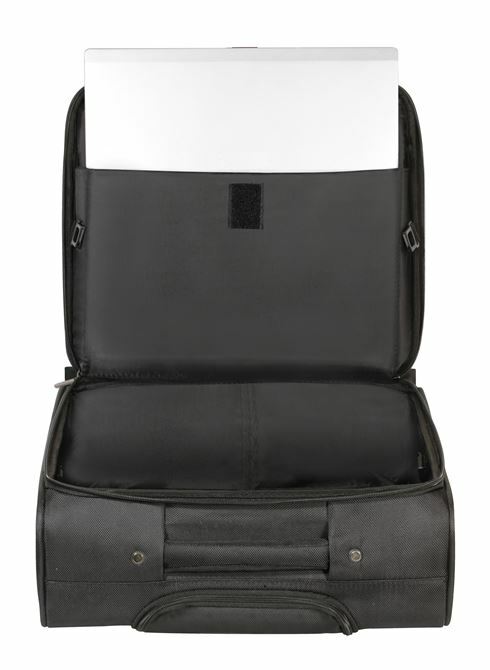 Additional front compartment and zippered stash pocket provide the perfect spot for quick access. 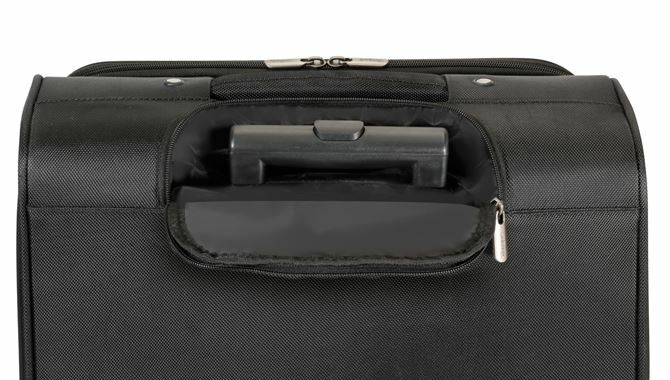 The telescoping handle retracts into a zippered compartment when not in use and the case includes an extra padded handle for added convenience and comfort. 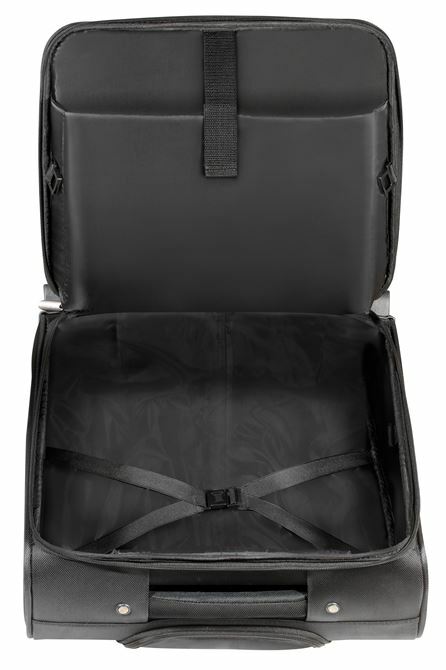 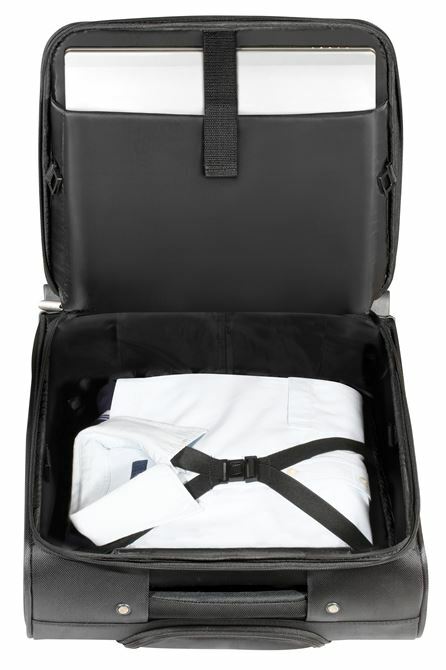 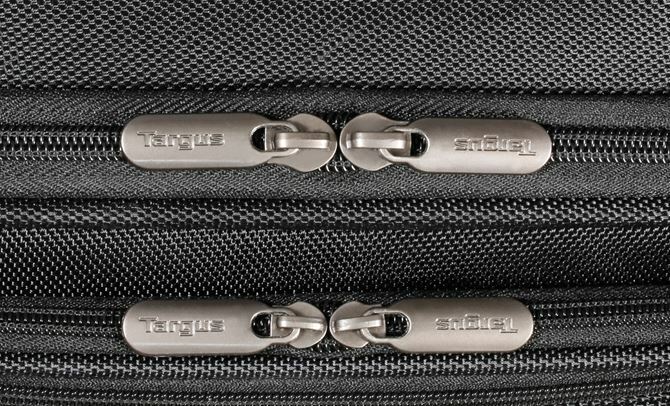 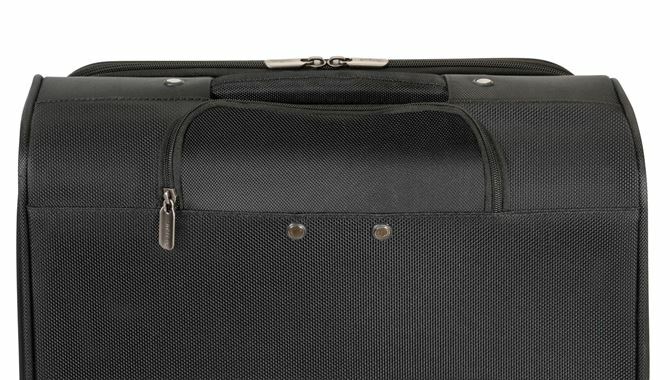 For added security, the main compartment is equipped with lockable zipper pullers. 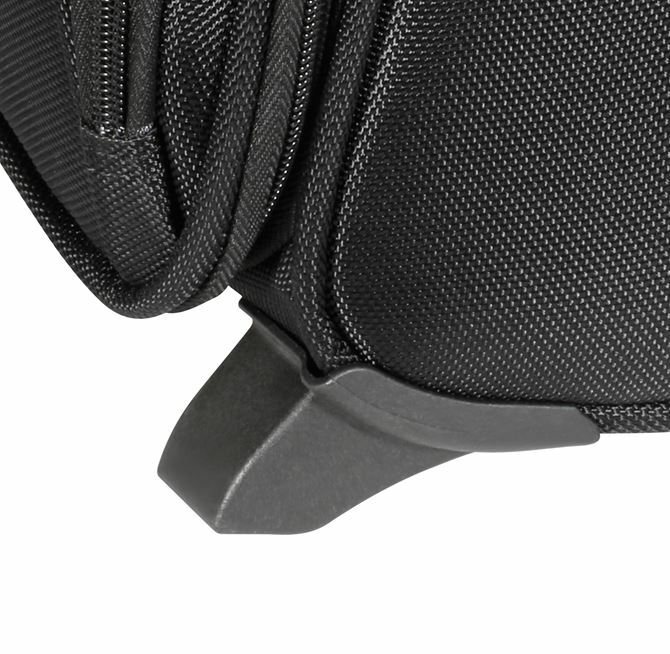 Built for portability, the Rolling Overnight Case features actual smooth-gliding, inline skate wheels and a sturdy telescoping handle to let you comfortably take your show on the road. 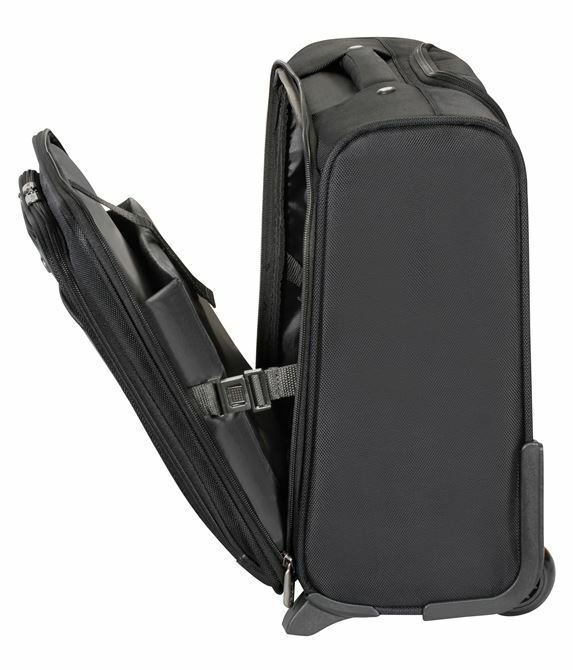 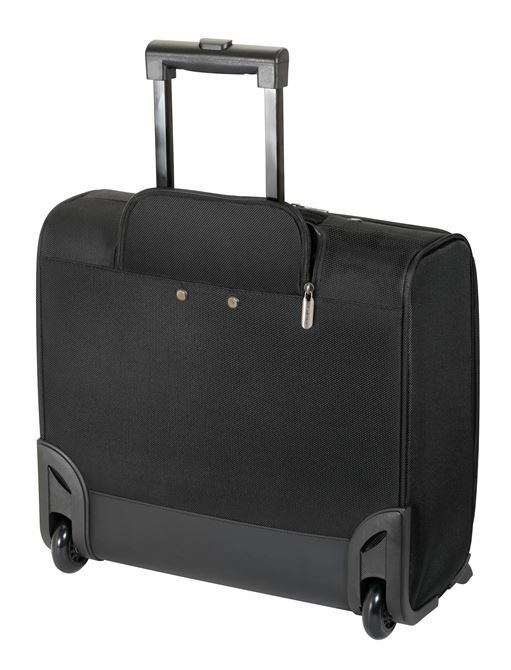 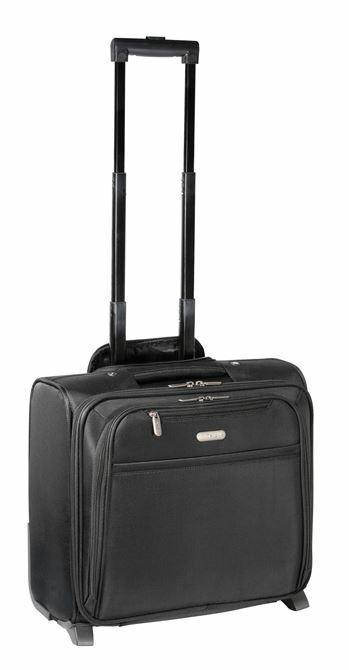 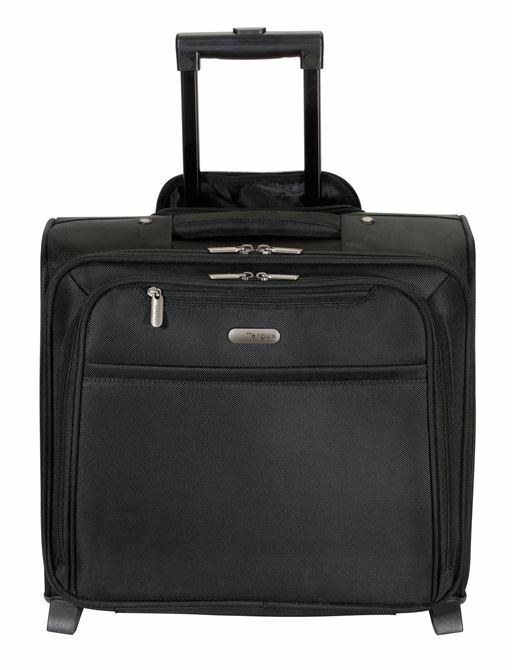 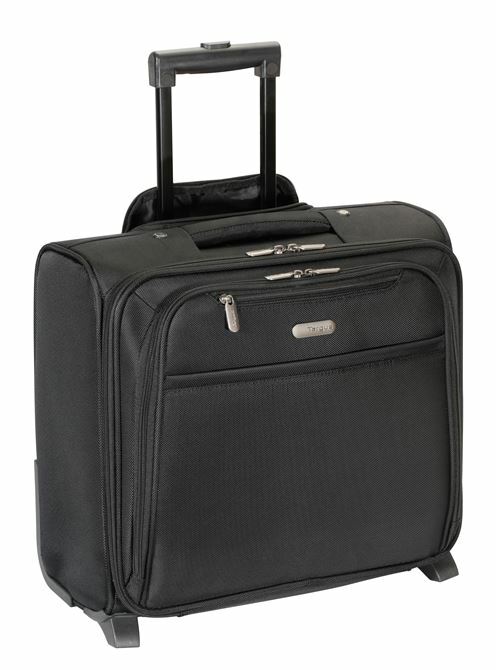 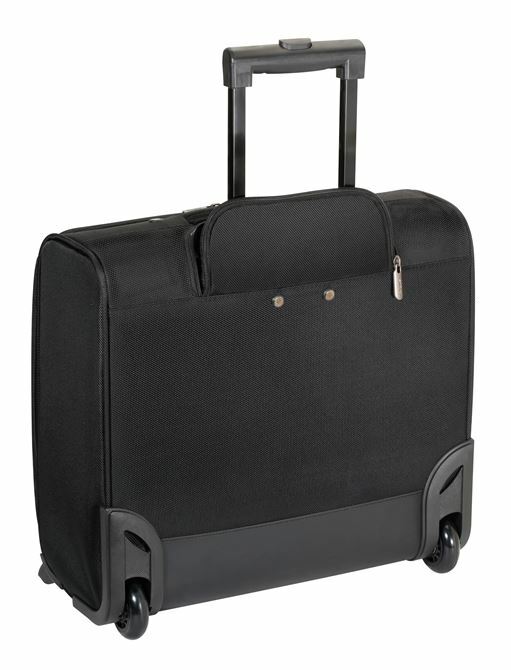 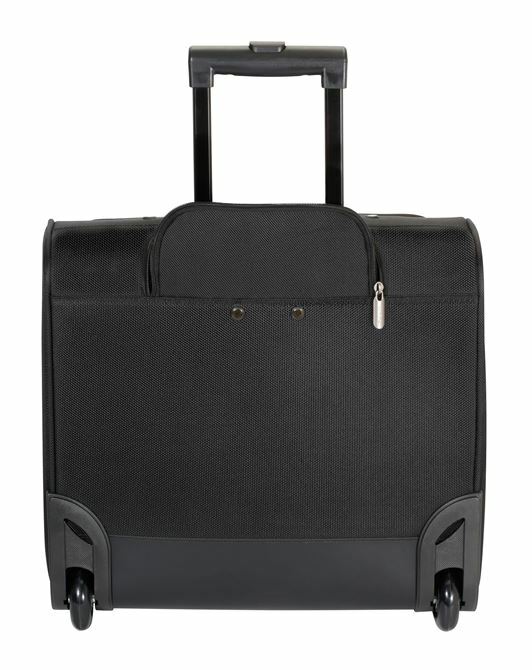 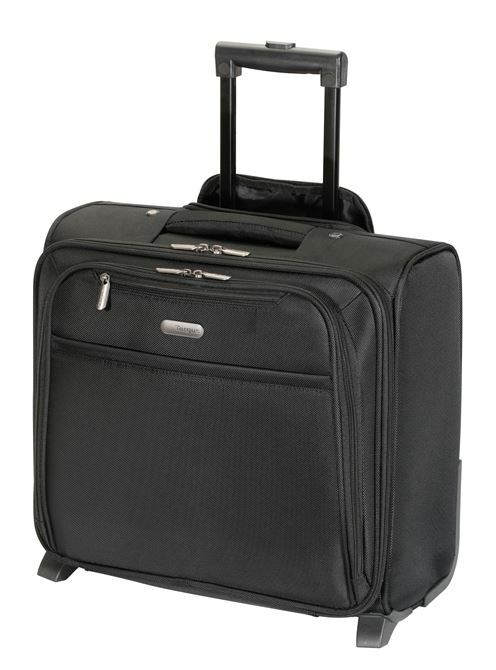 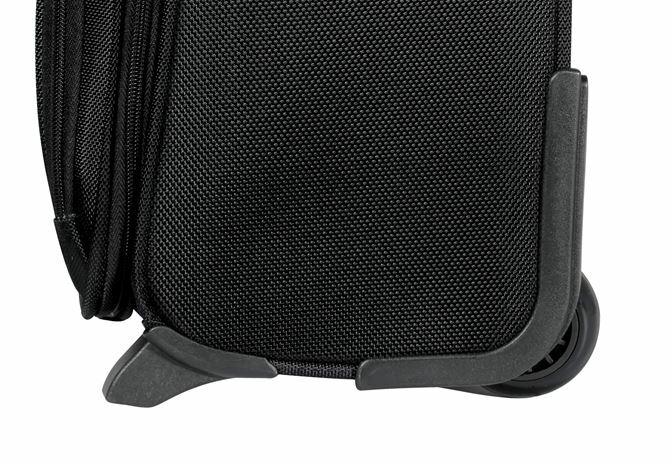 The Targus Rolling Overnight Case is definitely your perfect overnight business travel companion.